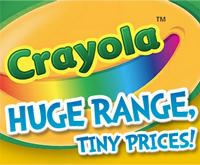 Store Description: Offering the best price and service for the gamer in you! 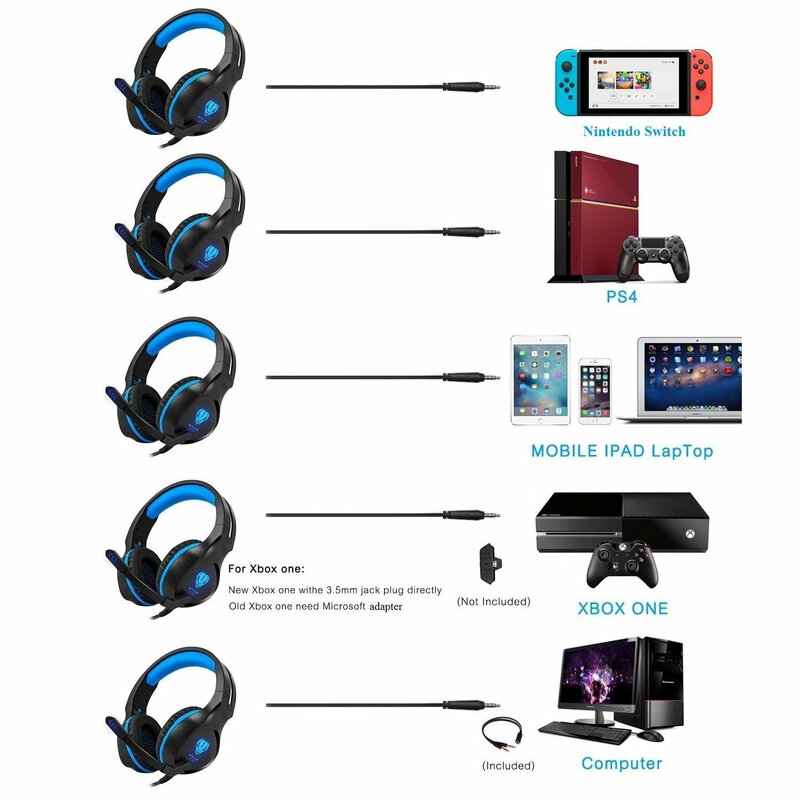 Works Great for -- New Version Xbox One, PS4, Playstation 4, Nintendo Switch, Mobile phone, PC or other 3.5mm interface jack Audio device. Reminding: An extra Microsoft Adapter is required if your Xbox One controller is the Old Version. This headset is not including Microsoft adapter. Headset Interface -- 3.5mm + USB (for LED light). 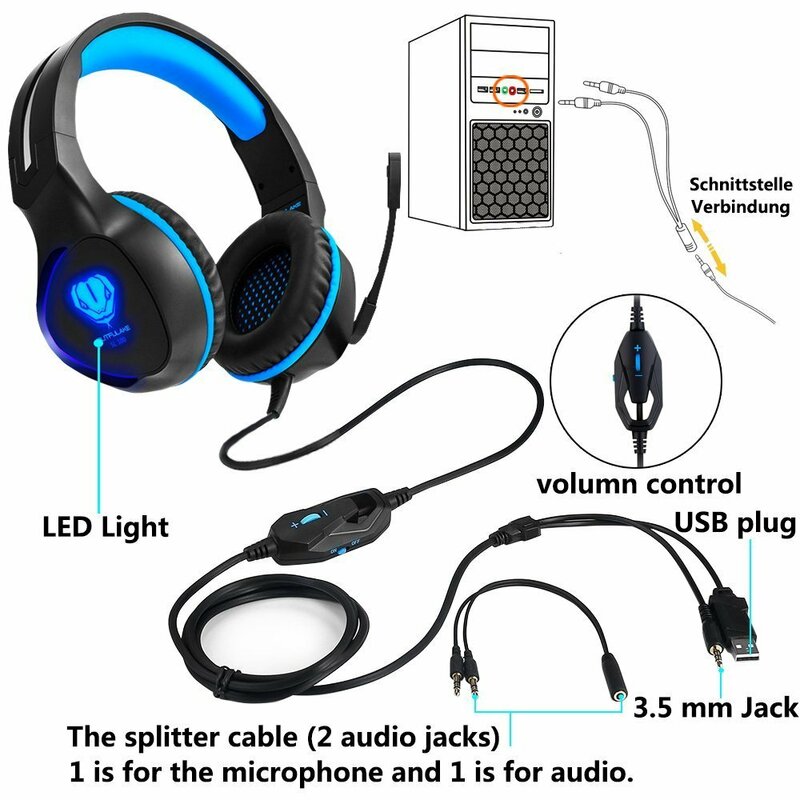 Also comes with a 3.5mm Splitter Cable for plug in the audio and mic separately. The 2m cable with a volume knob and an ON/OFF button.The USB plug is for lighting up the LED lights and highlighting the games atmosphere. 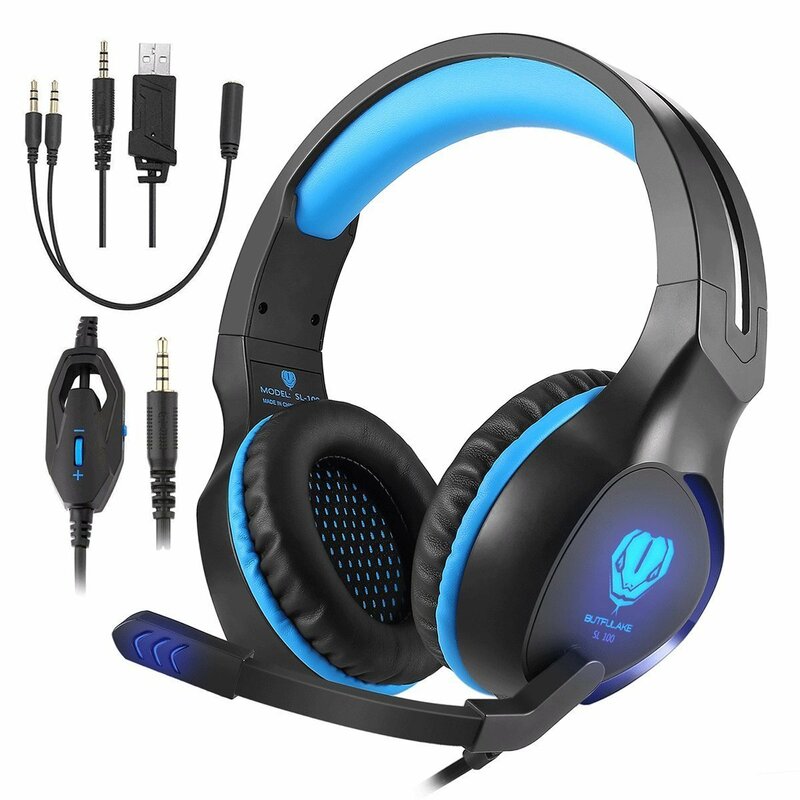 Immersive 360-Degree Stereo Sound -- Built-in Industry-Leading high precision 50mm magnetic neodymium driver pursues a more immersive experience; The omnidirectional noise reduction technology ensures that microphone picks up your voice clearly in-game or online chat. Comfortable Wearing -- The headset can be adjust well for optimal comfort. The padding that on ears and the top of head makes us super comfortable assure us a comfy fit and painless long time gaming. Leather headrests with steel reinforced headband for flexibility and durability.